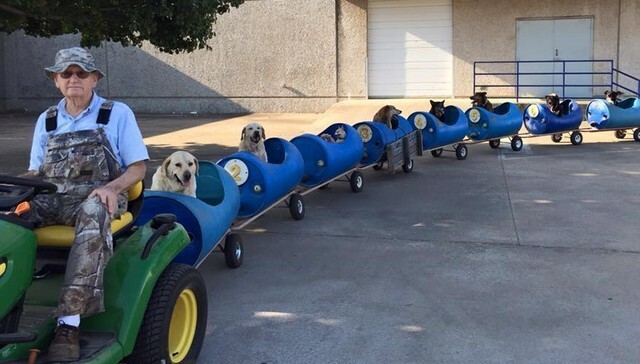 The website “The Dodo: For the Love of Animals” recently posted about a man who built a little choo-choo train to give dogs rides. “Over the years, Bostick has taken in countless abandoned dogs. But more than just keeping them safe, he’s found an adorable way to keep them happy, too. “While the rescued dogs have plenty of room to run and play on Bostick’s farm, the retiree thought it would nice to be able to take them on little trips to other places as well. That’s about the time he was inspired to build a canine-specific form of transportation just for them. 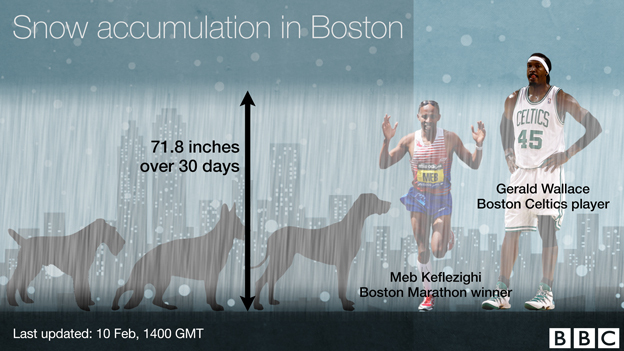 The BBC, having fun at our expense, has been measuring our snow depth in height of dogs. More recently, having passed what it calls “six dogs,” it is adding athletes as a unit of measure. See several illustrations here. For a more realistic picture, see below. 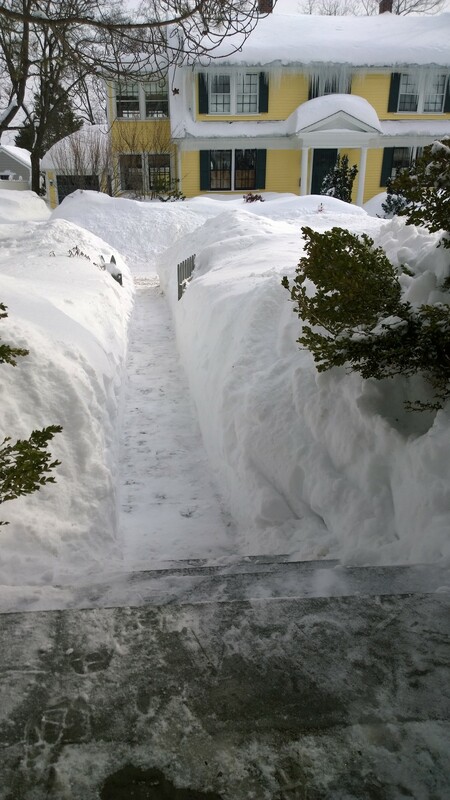 The first shot, from Sandra Kelly, is of New Shoreham, RI. It’s windy on the island, and snow usually blows right off. But it seems to be sticking this time. 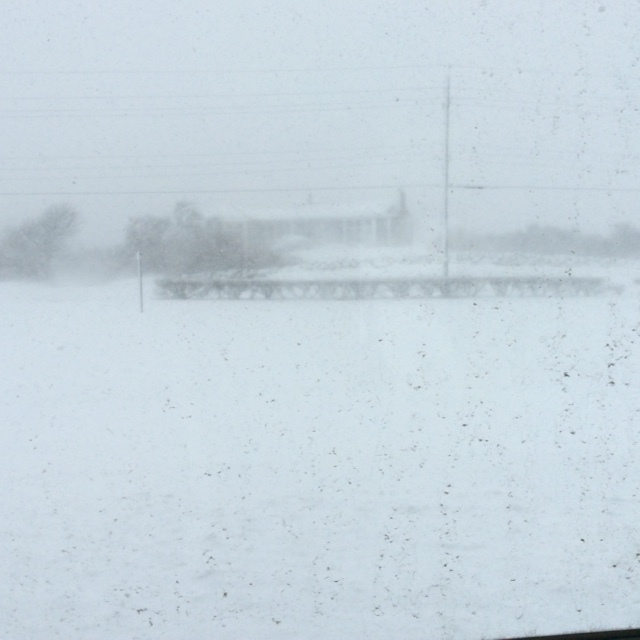 A poet out there tells me it’s “wild, white, and windy.” I can hear the wind whistling in that. I hope she writes a poem. 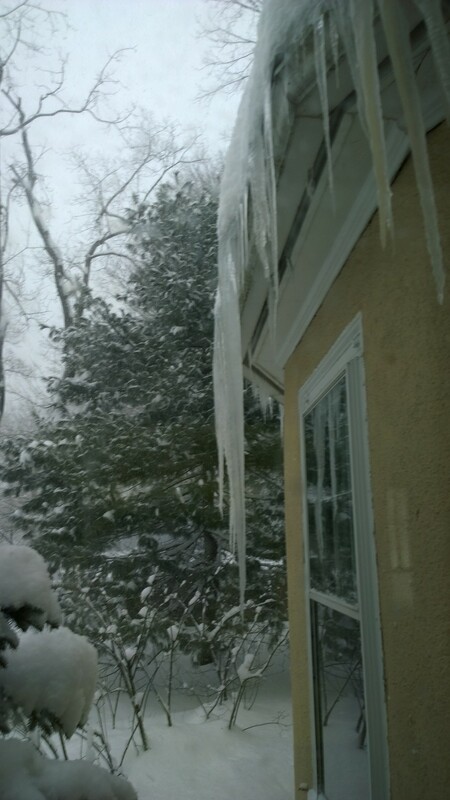 The icicles and front walk are from Massachusetts.